"Nourish your mind and help take charge of your life"
We aim to provide a confidential, professional and fully accredited psychological therapy service in Lancashire, Greater Manchester and surrounding areas. Our aim is to aid and maintain recovery. We can help you on the road to recovery. 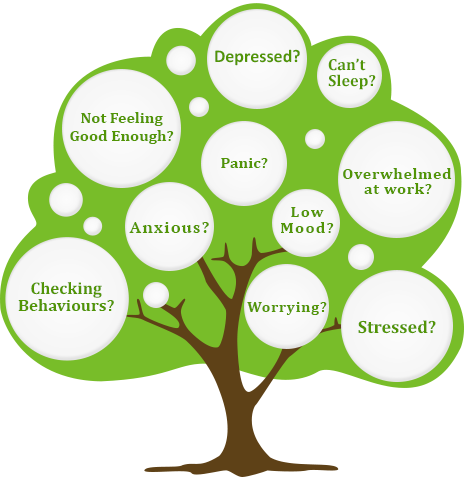 We provide Cognitive Behavioural Therapy and other psychological therapies for mild to moderate mental health problems including depression, anxiety, stress, work related stress, post traumatic stress disorder, obsessive compulsive disorder, difficulty sleeping, body dysmorphia disorder, social anxiety, generalised anxiety disorder (excessive worry), low self esteem, phobias, eating issues, sexuality related concerns, health anxiety, panic and agoraphobia, amongst other mental health presentations using Cognitive Behavioural Therapy and other NICE (National Institute for Health and Clinical Excellence) recommended interventions. In our daily lives, we attempt to manage our emotions and thoughts but may feel unable to make lasting changes. At Nourishing Minds we are dedicated to helping you achieve your goals. Mental health can be treated and recovery is possible. Cognitive Behavioural Therapy in particular has been promulgated by the Department of Health for providing evidence based treatment and effectively treating mental health concerns. Give our team a call and lets discuss how we can help you. Challenging thinking patterns: our negative thinking styles can impact on how we see others, the world and ourselves. We can help create a balanced perspective. Modifying unhelpful behaviour: we might be doing things which hinder progress and keep our problems going. We can help you break this vicious cycle. Coping strategies: avoidance and distraction is not the same as copying. We can help you cope with life�s challenges.